The apprenticeships are part of an industry drive to get more young people into skilled food jobs. Tens of thousands of new apprenticeship opportunities in the food industry were announced by Food Minister Jim Paice today. The apprenticeships are part of an industry drive to get more young people into skilled food jobs. Mr Paice made the announcement as he launched a Defra-sponsored action plan to get food businesses to run more apprenticeships and change the way young people to think about working in the food industry. encourage more apprenticeships across the entire Food Supply Chain but in particular in SMEs. 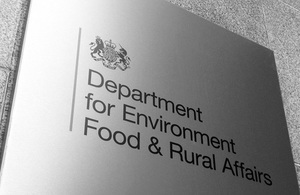 The Skills Action Plan for the Food Supply Chain is sponsored by Defra and led by Improve, the Sector Skills Council for Food and Drink. The action plan was developed by a steering group of representatives from businesses, industry bodies and skills organisation partners and a range of contributors from every aspect of the food supply chain. The full plan is available at www.igd.com.